This weekend, after working up a sweat, I discovered my new fav snack. A smoothie!! A SPINACH smoothie. You are not mistaken, my dears. I said spinach. Spinach + Raspberry = a delicious brown snack. 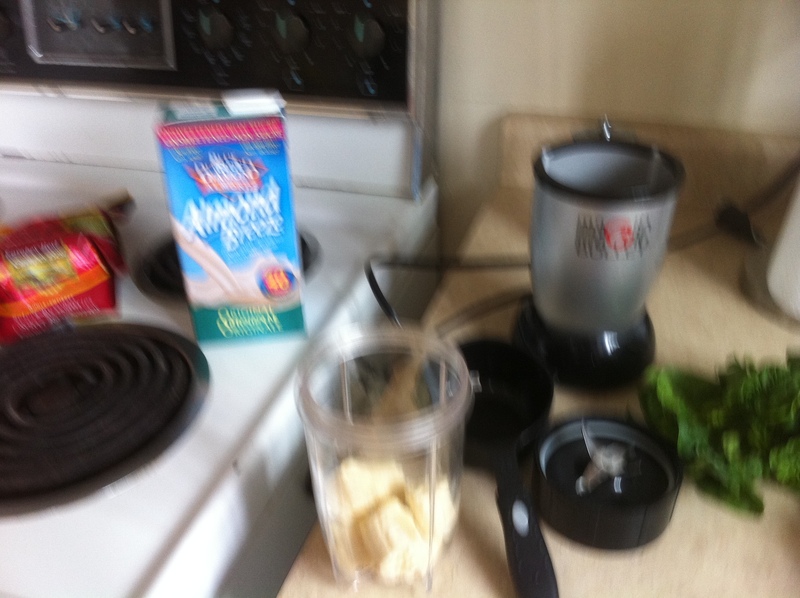 Into the magic bullet: 1 cup unsweetened almond milk + 1 banana + 1 cup raspberries + 1 large handful of spinach. I put the spinach in last so it’d be closer to the blade. 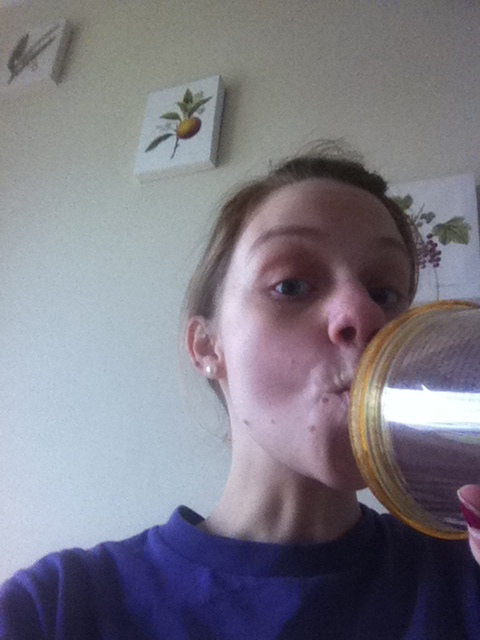 I also love my spinach berry banana smoothies–SO yummy! Of course I also cover up the spinach a little more with chocolate protein powder and PB, but that’s just me. hehe. 🙂 Good luck wit your school stuff! 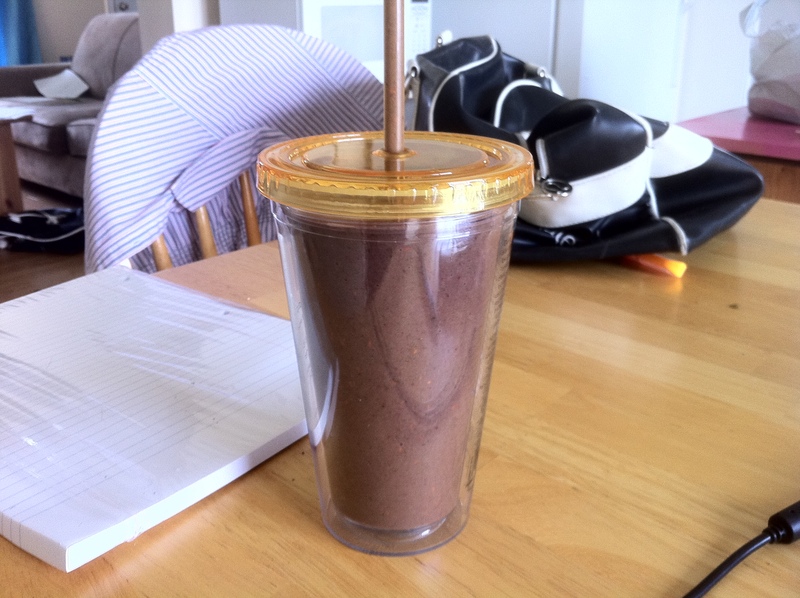 I love green (or brown–mine always turn brown too) smoothies! I have made a few that did taste green, so I always add lots of fruit to avoid that again. Good luck with schoolwork! I love spinach smoothies!! Brown may not mean chocolate, but it can still mean delicious. …sometimes anyway. Oh that Mean girls was on tv last weekned, almost made me miss my run. Green monster smoothies rock! Stress makes me crave sweets like crazy too. I love adding some spinach tp my smoothies it’s so much fun. I’ve added spinach to chocolate pancake batter too!